This week’s blog post was written with permission about one of our Family Access users. Remember, IonTuition users can grant free accounts to family members. Anne is an elementary school teacher with over $10,000 in federal and private student loans. She’s currently on an income-driven repayment plan for her federal loans. But she has one high, variable interest private loan excluded from the IDR that she was trying to pay off quickly to save time and money. Anytime Anne had extra money, she would make an overpayment on her private student loan. In a short time, Anne was receiving a “$0 Amount Due” on her student loan statements. However, even though she owed $0, unpaid interest and unpaid fees still accumulated each month. She continued making overpayments, believing that the extra amount would be allocated towards the principal of her private loan. However, her extra payments were only being applied towards unpaid interest and unpaid fees. Anne’s servicer has a “Quick Pay” option that allows borrowers to send payments without asking the borrower to allocate overpayments. Anne had selected “Quick Pay” when she started repaying her loan without reading the terms about how payments were allocated. Under the “Quick Pay” option, any overpayment “will advance your due date by the number of payments covered by your payment unless you tell us otherwise.” Meaning, that her overpayments were pushing her due date back instead of being applied to her principal. 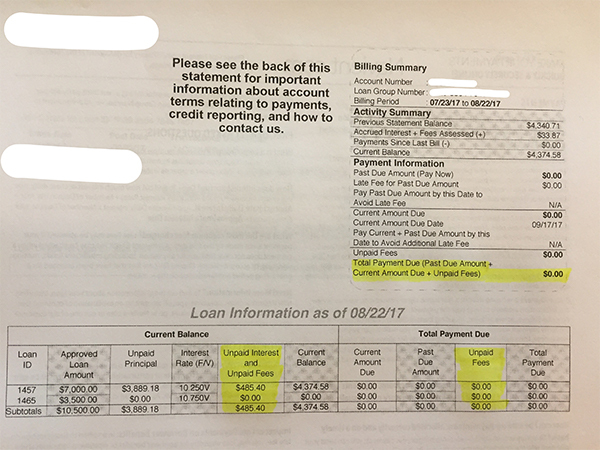 This is the copy on the last page of Anne’s student loan statements: “Once we allocate a payment to a loan(s), payments are applied based on the terms of each loan’s promissory note, usually first to Unpaid Fees, then to Unpaid Interest, and then to Unpaid Principal.” The servicer pays down fees and interest first. In this case, no money was applied towards the principal. Instead, Anne’s due date would be pushed back. Anne was invited through Family Access to join IonTuition by her spouse, who works for a company offering IonTuition. 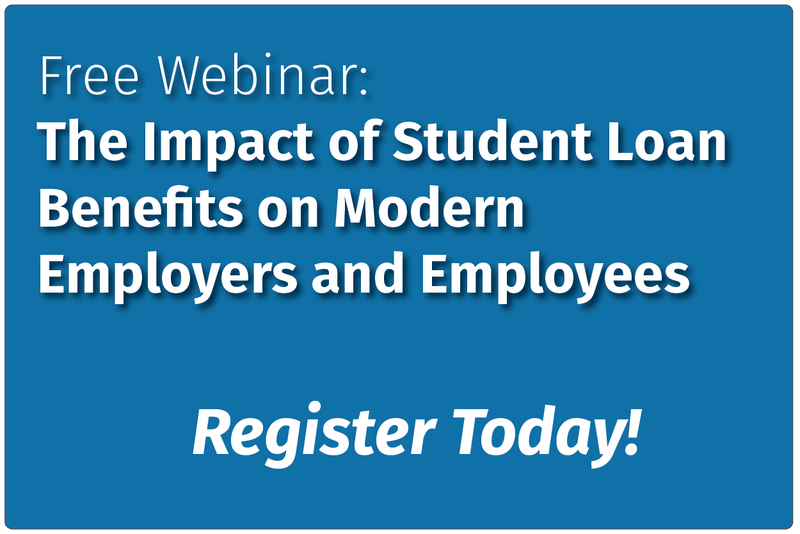 After nearly 2 years, Anne noticed that her student loan balance on her private loan hadn’t changed. In fact, even though she was making payments every month (sometimes 2), her private student loan’s unpaid principal had remained at “$3,889.18” since January 22, 2016. Looking at the payment history above, there are some months where payments weren’t even being applied towards the interest. In these cases, her overpayment covered several month’s worth of interest and pushed her due date back. Once the fees were paid off by the overpayment, they were reapplied and her next overpayment went to paying the interest. 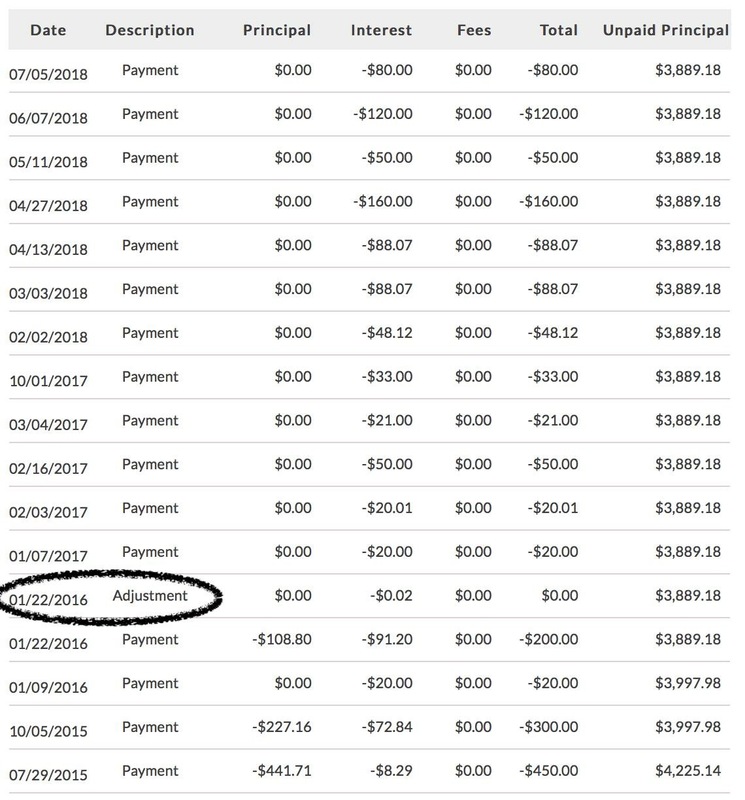 If Anne hadn’t noticed this through her IonTuition account, there’s no telling how long she would have been making payments without any progress. Anne sent in nearly $1,000 that was applied only to her interest. Even though she was ahead in her payments, her servicer did not apply those payments to her principal. If she hadn’t been making overpayments, her balance would have been paid down as normal. Our student loan payments are often not a priority or top of mind, so it’s understandable how something like Anne’s situation could happen. That’s why student loan management and counseling services are so important. IonTuition helps borrowers find the best repayment path and we’ll help you talk to your servicer to ensure payments are allocated as intended. Anne learned a valuable lesson and we take situations like this to educate our users to this doesn’t happen to others. If you have a complaint against your student loan servicer, we encourage you to file a complaint through Consumer Financial Protection Bureau.